The shuffle of pairings continues on the men's tour. One of the new partnerships to form ahead of the new season is Federico Quiles and José Antonio García Diestro. This duo will combine Diestro's control and versatility with Quiles's character and experience. They will be hoping to gel together quickly and find some long-lost stability to try and grow together. In 2018, José Antonio García Diestro started off with Sebastián Nerone before teaming up with Martín Sánchez Piñeiro for the third time. His best result of the season came alongside the latter, reaching the quarter finals at the Buenos Aires Padel Master. He ended the year ranked 31st and looking for some consistency to progress a step further. For Fede Quiles, 2018 was a year of ups and downs. He shared a court with Adrián Allemandi, Chico Gomes and Maxi Grabiel. His best result was two quarter finals, at the Valladolid Open 2018 and the Buenos Aires Padel Master, both with Chico Gomes. Despite being at the back end of his career, Quiles still maintains his fiery passion and personality. 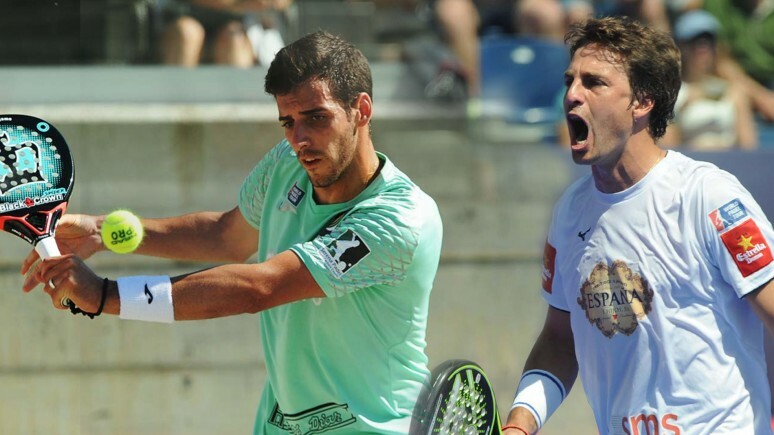 Muy contento de poder anunciarles que este 2019 formaré pareja junto a @diestropadel ? Intentaremos ser una pareja dura y competitiva !